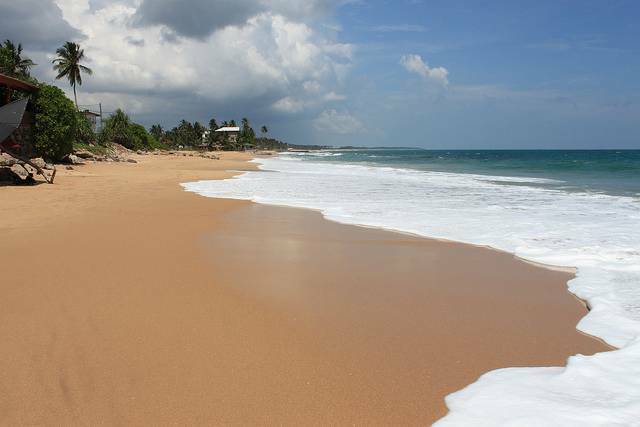 Medilla beach is located in the charming town of Tangalle. The town has two beaches, Medilla and Medaketiya. Both the beaches are located on the land that is on one side covered with blue waters and on the other, with dense mangroves trees of the lagoon. In sharp contrast to other commercial beaches of the country, Medilla beach is ideal for relaxation. Medilla is a golden colored sandy beach that forms a pleasant combination with the blue waters and lined with coconut tress. Most of it untrodden, the shores of the sea are clean and plain.